Introducing Vita Mass® Green Coffee Bean Multipotency fast acting oral spray an extraordinary and revolutionary Homeopathic formula with premium ingredients. Vita Mass® Green Coffee Bean is a highly potent and pure form of the green coffee bean, which is known for its weight loss and fat burning benefits. This sublingual supplement supports energy and weight loss naturally. Vita Mass® Green Coffee Bean is synergistic compatibility with other weight loss products and provides a natural boost of energy so it is great for people trying to incorporate exercise into their weight loss regimen. Vita Mass® homeopathic Green Coffee Bean fast acting oral spray is the most powerful supplement available on the market today. The formula is safe and effective. 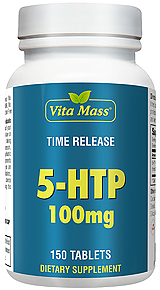 All Vita Mass® products are Scientifically formulated and researched. All of our ingredients are USP, food grade and of the finest quality. 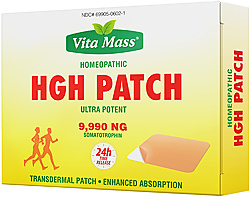 Produced under the guidelines of the Homeopathic Pharmacopoeia of the United States for optimum potency, safety and efficiency. I love the Product! It has helped me curve my appetite and I have already lost pounds and inches! Adults, take 3 sprays 3 times per day. Spray under tongue. Hold for 30 seconds, then swallow. Use morning, afternoon and evening. Do not eat or drink 30 minutes before or after taking. Take 5 days a week or as directed by a health care professional. Supply lasts approximately 8 Weeks. Important: In order to experience the results you must take the product consistently for the first three months. Not everyone will experience the same results at the stated times. But most will see results within the first 3 months. Some people will notice immediate improvements within the first few weeks, with dramatic results. Some notice results within the first month, some may take a few months to see the same positive results. It’s important to know these result ranges are based on the individual person and their current state of health and wellbeing. Allow the homeopathics to trace within your system to get to the root of your concern. It’s important to take your Vita Mass® Products as directed on the label to see maximum benefits. Note: After taking Sprays for 3 months it is a good idea to then abstain for a week. This allows the GH receptor sites in the body to rest.